The audacity of Speaker of the House John Boehner colluding with the prime minister of a foreign country to undermine a sitting president is, I think, still not entirely appreciated. And the whole point of the plot with Binyamin Netanyahu is to stop a sitting president from successfully making an opening to a former enemy, reducing the likelihood of war. Just think what the equivalent would have been. It would be as though Rep. Joseph William Martin, Jr., the Speaker of the House after WW II, had managed to swing a visit to Congress in 1947 from Mustafa Barzani, the Kurdish leader, to stop Harry Truman from promulgating his Truman Doctrine and including Turkey in the aid package that became the Marshall Plan. Or, it would be as though Rep. John William McCormack, Speaker of the House in 1971, had without Nixon’s knowledge invited Spanish leader Francisco Franco to address Congress and warn against any deal with Communist China. I think we know how Truman (a hothead) and Nixon (a sociopath) would have responded to that kind of, well, treason. And frankly I don’t think a Speaker would have dared try to treat a white president that way. That Netanyahu gleefully joined in this naked power play for the Republican Party, moreover, signals a turning point in the partisan valence of Israel itself. In a 2-party system, the parties are enormous big-tent conglomerations of groups. But at a certain point in the 20th century, the Democratic Party picked up as constituents, in addition to Southern Baptist rural whites, the urban working and middle classes, including religious minorities (Catholics, Eastern Orthodox and Jews were very disproportionately urban, while rural areas were largely Protestant). Among the Democrats, of course, were some wealthy traitors to their own class like FDR himself, who despite their privilege stood up for urban workers (even if they were not personally enthusiastic about Catholics and Jews). Those few middle class African Americans who could vote in mid-century tended to be Republicans, but most were excluded from the political system. The narrative of the Democratic Party under the New Deal and after was government-backed uplift and opportunity for minorities and workers. That message resonated with the “Exodus” narrative of Israel as the creation of persecuted people reduced to the most straitened circumstances, who by forming a socialist state created the first modern industrial Middle Eastern nation– which perhaps even had the potential to modernize the feudal emirates and principalities still battening upon the oppressed Arab workers and peasants. In contrast, the Republican Party was led by wealthy and established WASPs, who allied with upper middle class neighborhoods and some Midwestern farmers. Its message, even in the 1930s and 1940s, was that private business, if only untaxed and unregulated, could create a dynamic economy and a tide that would lift all boats. That discourse was completely unaffected by its utter failure in the Great Depression. The GOP was hostile to the kind of big government FDR championed and that the Israelis constructed in the late 40s and 1950s, and had vanishingly few Jewish or Catholic constituents. A Republican like Eisenhower was as eager in the 1950s to have good relations with Gamal Abdel Nasser of Egypt as with Israel, and reacted harshly to Israel’s war of aggression, in conjunction with Britain and France, on Egypt in 1956. Eisenhower had few domestic Jewish constituents and did not care that they were disappointed when he made David Ben Gurion relinquish the Sinai Peninsula back to its lawful owner, Egypt, in 1957. He appears to have been afraid that Israel’s aggressive expansionism would drive Egypt into the arms of the Soviet Union, and with it much of the Arab world. Socialist Jews running about interfering in US Cold War aims did not exactly produce fanboy sentiments in the Presbyterian, Methodist and Lutheran businessmen and military officers at the top of the Republican Party. In contrast, the Democratic Johnson administration was, in 1967, virtually a cheering section for Israel in that war, in which Israel also fired the first shot. But from the late 1970s, the Israeli right wing began winning national elections. Some of it, as with the Likud Party, resembled Franco’s Spanish fascists, having a similar origin in the far right wing mass movements of the 1930s in Europe. It reached out to the Mizrahis or Jews from the Middle East who had fled or been expelled after the rise of Israel made them (quite unfairly) controversial at home. Then in the 1990s, a million immigrants came to Israel from the former Soviet Union and East Bloc, only about half of them actually what you might call Jewish. The definition of Neoconservatives, most of them wanted nothing to do with socialism or the Labor Party. The old Central European Labor Party elite and its socialist institutions such as the Histadrut workers’ union, declined rapidly in influence. A new class of billionaires emerged, and workers began having difficulty paying rent. Class divisions increased. To deflect any backlash from downwardly mobile workers, the Right pushed the colonization of the Palestinian West Bank (socialism has always been acceptable to the European Right if deployed by imperial viceroys in the service of colonialism abroad). There, essentially subsidized housing on stolen Palestinian property kept living expenses bearable and had the further advantage of creating a new constituency that would vote for right wing pro-colonization governments. Israel’s narrative today is much more like the grand Republican one than like that of New Deal Democrats. It is a land of capitalists and IPOs, of a handful of billionaires who buy Netanyahu his elections and increasingly poorly paid workers (who are still better off than the Palestinian underclass). A few years ago I went to a conference in Israel and they kindly put us up in a kibbutz. We got to see the communal dining halls and the exhortations to community. But the kibbutz was being sold off as vacation homes. Republican ideology is latently about hierarchy. Older white wealthy Protestant males were at the top of the hierarchy, followed by younger white wealthy Protestant males and then by white wealthy Protestant females. More recently wealthy Jews and Mormons have been granted honorary “Protestant” status in the party, just as the Apartheid Afrikaners decided to proclaim Japanese as “white” for business purposes. For an African-American to be president deeply violates this unstated hierarchy, which is why they treat President Obama with such lack of respect; disrespecting someone in public in primate societies is a way of putting them in their place and restoring power hierarchies. Keeping African-Americans and poor Latinos from voting is not only a partisan strategy (they don’t vote Republican on the whole) but it also underlines the hierarchy, which assumes whiteness and property as connoting ‘real’ Americans. Famously, some of the white working class is attached to the Republican elite because they are told that thereby they become better than workers of the lower (as they think of it when not in public) races. African-Americans are deployed in much Republican discourse just as Palestinians are deployed in right wing Israeli discourse, and racism functions the same way in making the Israeli working class unwilling to ally with Palestinian workers nowadays (Zachary Lockman showed that such alliances were common in the 1930s). So for Israel to function as a Republican Trojan Horse in the debate on the Hill about Iran negotiations is an announcement that the old big-government socialist Israel of the Ashkenazi survivors of Nazism is over. Israel has about 1 million such Ashkenazis. But it has nearly 3 million Mizrahim, eastern Jews not steeped in Labor socialism. And it has a million recently arrived Eastern Europeans who were mauled by Soviet excesses and were pushed to the right, just as Hungarians have been. The 1960s now look like the heyday of the congruence of the Democratic Great Society and the Israeli Labor Socialism of Levi Eshkol, both of them anti-Soviet but both of them standing against unregulated capitalism and in favor of using government to help people lift themselves up. 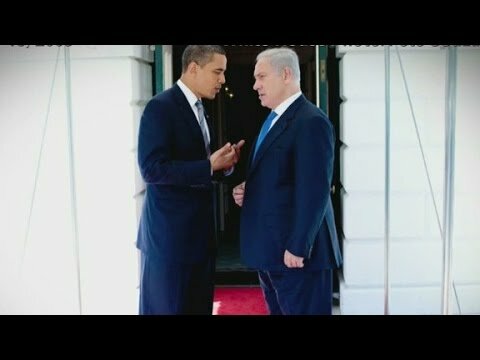 That American Jews are the religious group most enthusiastic about the Democratic Party and President Obama, yet also something like 63 percent of them are strong supporters of Israel, can only create a mammoth case of what psychologists call cognitive dissonance (mental stress from holding contradictory ideals simultaneously). Now, with the long dominance of the Israeli Right and the attenuation of Labor and Meretz, Israel is a Republican project, and being deployed in American politics primarily for Republican purposes.